I read this article and found it very interesting, thought it might be something for you. 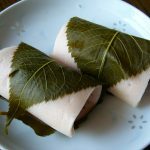 The article is called 30 Things to Buy in Kyoto and is located at http://trip-n-travel.com/listicle/18667/. If you want to buy some really authentic Japanese goods, then Kyoto is the perfect place to do it. 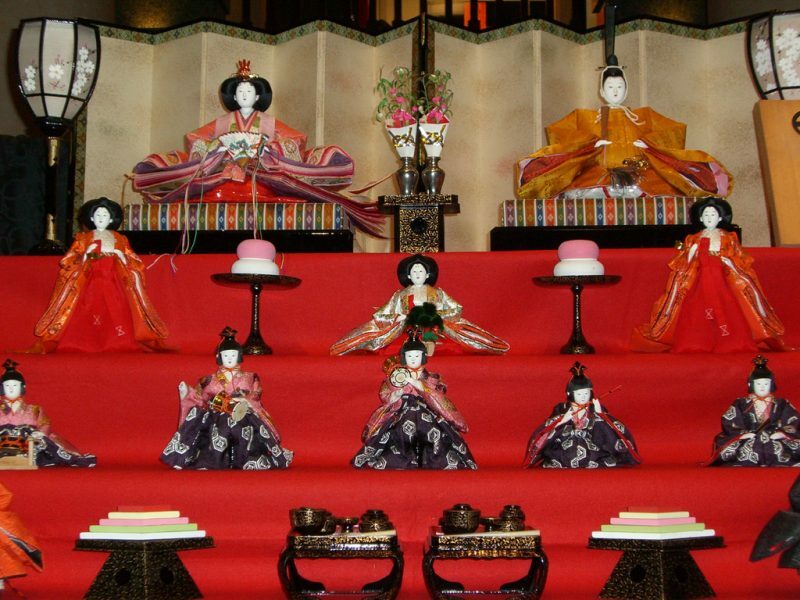 It offers a great selection of Japanese traditional crafts, arts and other various goods. 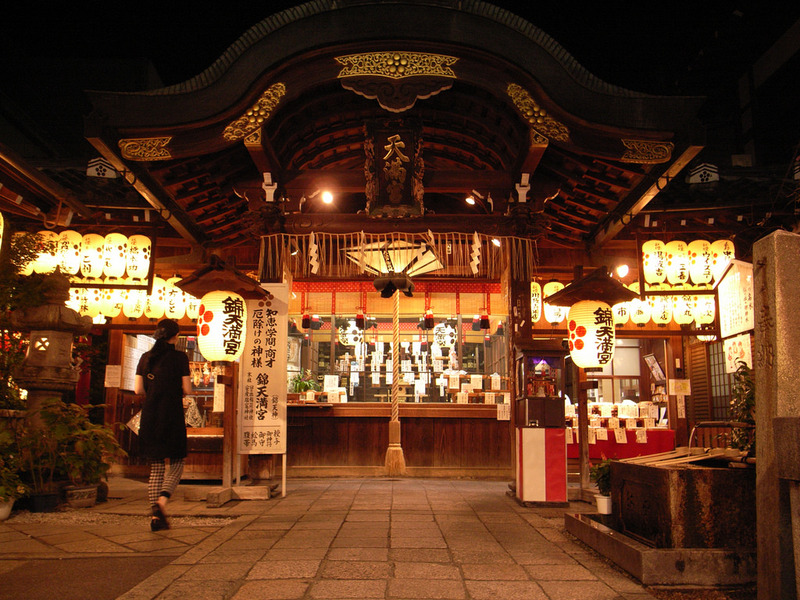 It is also a place with amazingly beautiful temples, charming geisha and wonderful sweets. If you decide to visit Kyoto, here are some of the most interesting and memorable gifts and souvenirs you can buy there. You can choose from those completely traditional to those that are a unique mix of tradition and modern-days. After seeing Fushimi Inari Shrine and its numerous red torii gates leading all the way up to Mt. Inari in some movies and magazines, many tourists have decided to come to Kyoto and see it. You might want to enjoy its mysterious beauty and atmosphere, too. If you decide to do go to Kyoto, you will come back home with great memories and a wonderful souvenir. While there, you must buy a small souvenir in the shape of the torii gates, or more of them; they make a great gift for a friend. 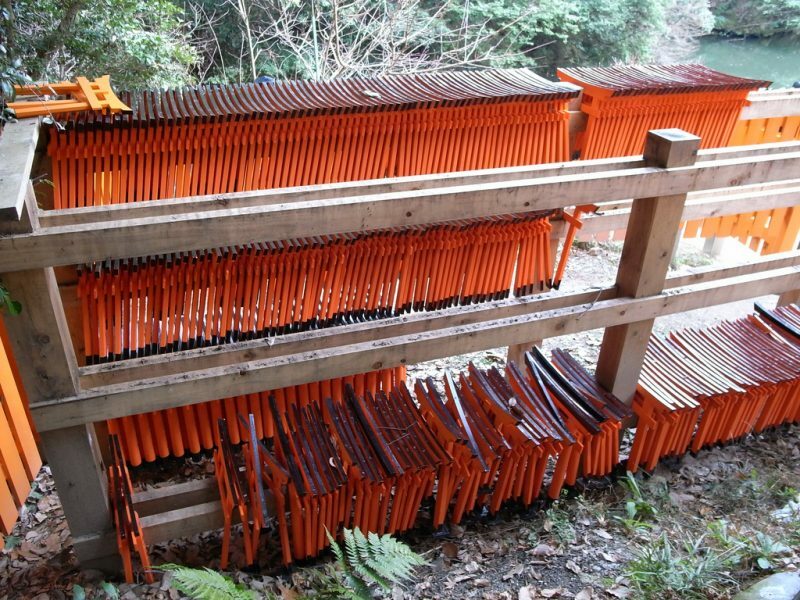 Most tourists love buying chopsticks to bring them home and even give them as gifts to their families and friends. But did you know that today you can even by some customized chopsticks? 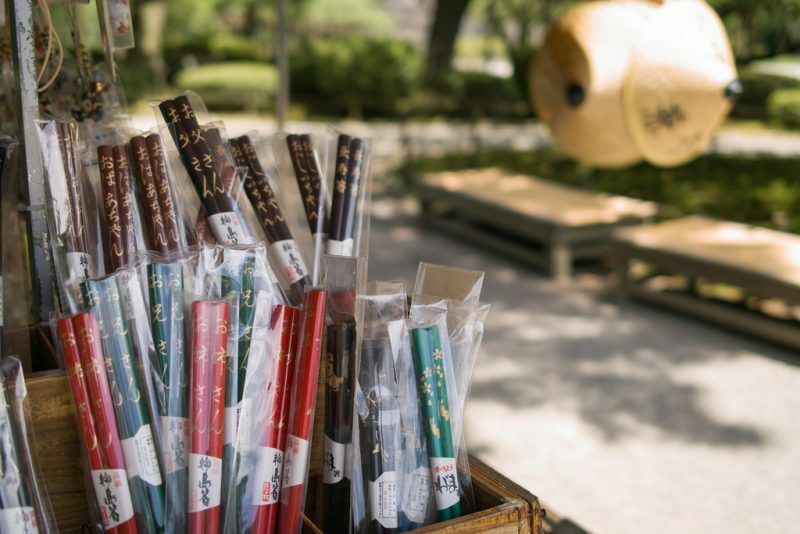 Many shops carve your name, your friend’s name, or a special occasion message on the chopsticks in English or in Japanese, and they do it for free. They can even wrap them in a way that perfectly matches the occasion! This is really a must buy if you come to Kyoto. This form of art is centuries old. It is a traditional printing technique and woodblock print and it represents a true work of art. You can even find and buy some more expensive antique originals if you want. But there are still numerous original prints that are not that expensive. There are places where you can also see how it is done and even make one on your own. You will simply love it. 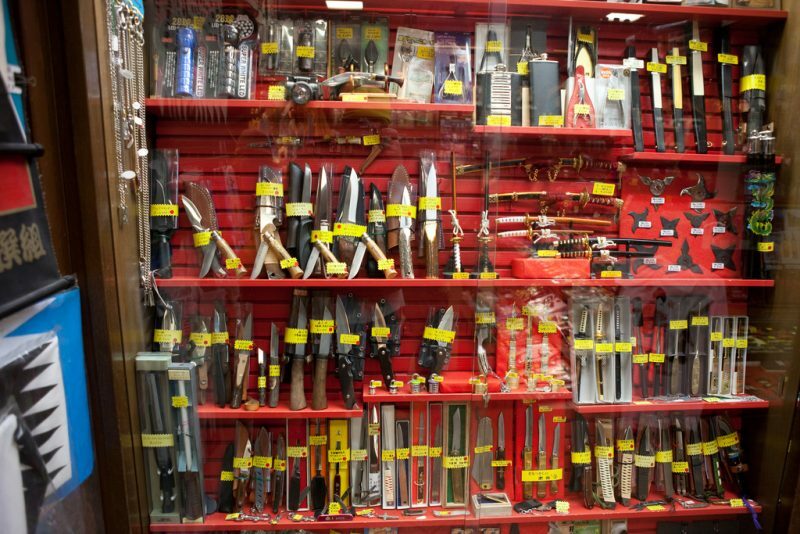 Foreign tourists just love Japanese knives and they are really very popular as souvenirs. That’s because they are not only sharp, but also very beautiful. They are very popular with famous chefs all over the world. You must not be a chef to buy one, you just buy it for your everyday cooking and you will see how much you will enjoy it. If you want to buy a knife as a gift, they will give you a small rock which will ‘dull the knife’, because they believe that cutting tools can ‘end a friendship’! 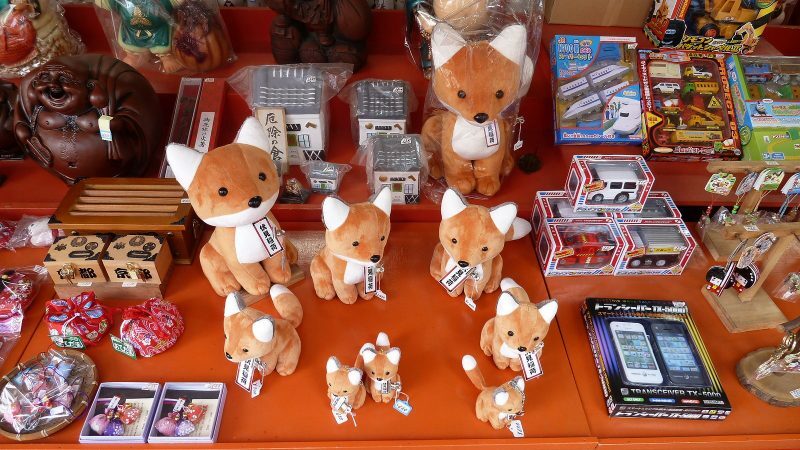 When you visit the great and famous Fushimi Inari Shrine, you can see statues of foxes all over the shrine grounds. There are thousands of them. That’s because they are believed to be messengers of the rice god Inari. They have become so popular that it would be a real pity if you didn’t buy one. They really make a nice and attractive keepsake. Kimonos are definitely standard souvenirs from Japan, and yukata is a kind of a casual summer kimono. It is perfect to wear it every day since it is made from a comfortable and light fabric. You can even rent one in many stores, and hotels usually supply the guests with this light cotton garment. Today there is a great variety of colors as well as designs you can choose from. Washi is traditionally made from various trees and shrubs. It has various uses and it is one of the souvenirs that tourists simply love. It has become a favorite craft item for many people. It is not expensive, it is light and if you put it in cardboard tubes, you will transport it safely to your house and enjoy making different stuff. 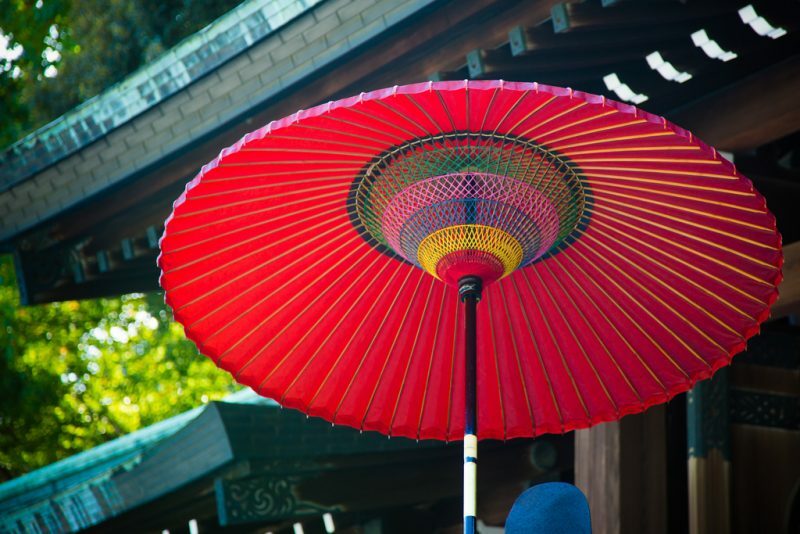 Bangasa is an oilpaper umbrella traditionally made in Japan. 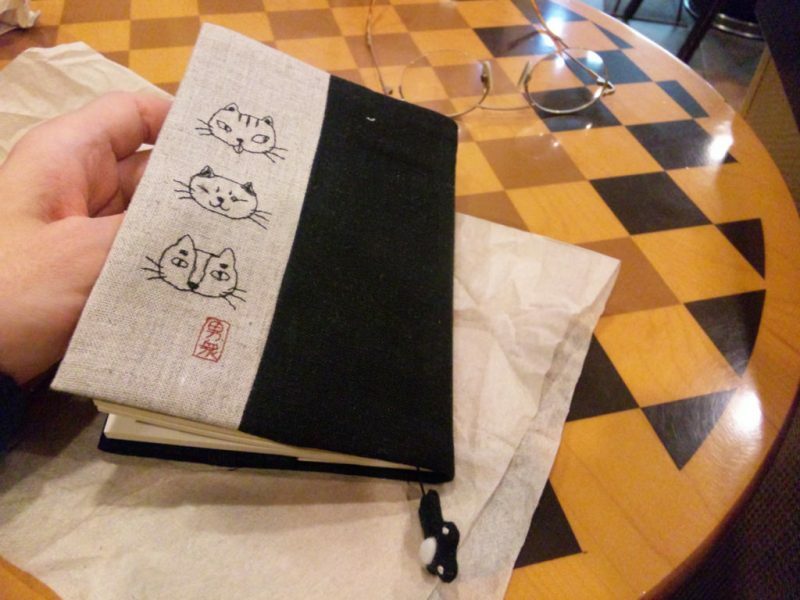 It is made of the best quality bamboo and the famous washi paper. The old traditional samples are wonderfully designed and crafted. They are very expensive, too. But today there are more practical bangasa sold at affordable prices which makes them a great souvenir. Just choose the one you like most and be careful not to use it when the wind is strong! Uji area in Kyoto is known for its high quality types of tea all over the world. Matcha is the most popular and the city is also famous for its sweets made with matcha. A box of good tea or sweets is a great souvenir or gift to bring back home with you. And if you want to enjoy the true and unique flavor, you must definitely visit one of the numerous tea houses while there. This is a very useful paper made from washi and it has become one of the standard souvenirs. Women have fallen in love with it. It is used to remove oil and sweat from ones face, and it comes in aloe variation for sensitive skin or just plain. Now you can relax and fight your oily skin during hot summer days using this great accessory even with your make-up on. This is also a very popular souvenir for ladies and it is highly recommended after a hard day’s work. Its therapeutic aroma helps you relax from the daily stress. It is used as skincare and hair oil as well as cooking oil and it’s been used in Japan for more than a century. It is organic and comes from the camellia flower seeds. Tsuge combs are traditional Japanese boxwood combs which are believed to make your hair healthy and shiny because of no static electricity. The boxwood itself is a kind of highest quality wood. The combs are extremely gentle and perfect for damaged hair and they are usually beautifully ornamented and decorated. You can buy them as a nice and interesting souvenir or as a perfect gift for a lady. Furoshiki are simple and unique Japanese cloths that you can transform into some sorts of bags just by tying. 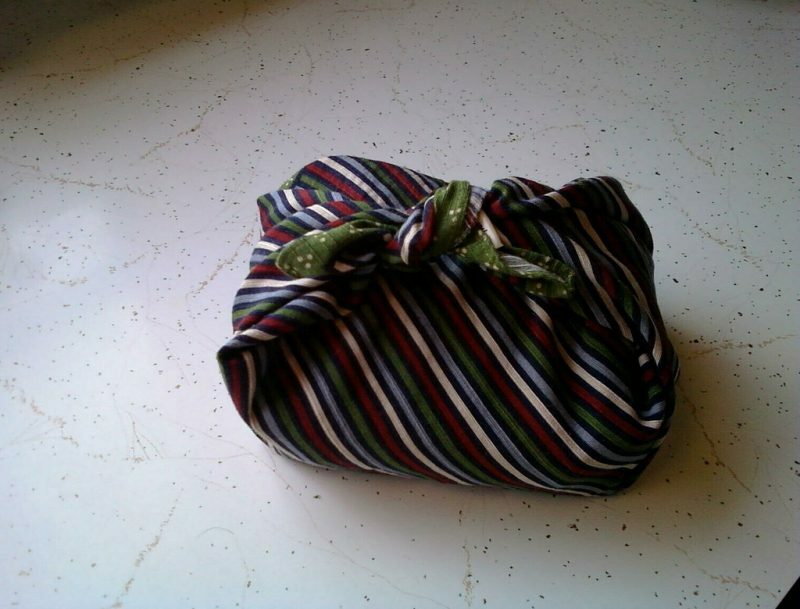 You can use your furoshiki in many different ways and you can carry various items in it. When you don’t need to use it any more, you can just fold it and put it away. Their design is very attractive and decorative and they can be used all over and over again. Kiyomizu pottery was first made in the fifth century in front of Kiyomizu-dera Temple. Today it is one of the representative traditional arts in Kyoto. The pottery has various shapes, colors and hand-drawn patterns. They look delicate, but actually they are extremely long-lasting. Because of the interesting history and attractive design this pottery has become a very popular gift or memento from Japan. Mamezara is any small plate and it comes in various shapes like. 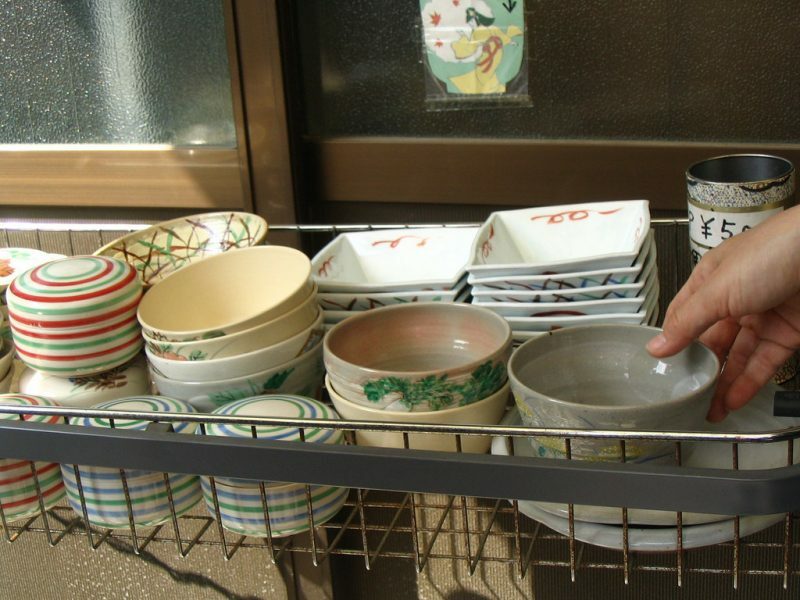 There are flower or leaf shaped plates, or just simple circular plates. Their design is so sophisticated that they can be used for decoration only, or you can use them to hold some food or sweets, of course, in small amounts. You must definitely take a couple of them home. The Arashiyama Bamboo Grove in Kyoto is its number one sight. When you visit it, you will know why. You will feel as if you are out of this world. If you want to take some of it home with you, then you should buy at least one of the bamboo products. There are shops all over Kyoto selling them. You can buy bamboo teacups, flower vases, blinds and many other goods. You can even custom order if you like. Kotobuki ceramics are extremely attractive and made by skilled craftsmen and techniques of making them date back into remote centuries. Your list of souvenirs should definitely include some of these products. Bring them home with you and your kitchenware will instantly become unique and vintage. You might think that they are too delicate to transport, but you won’t regret your effort to do that. Their material, design and handcrafting methods bring Japanese history and culture together. 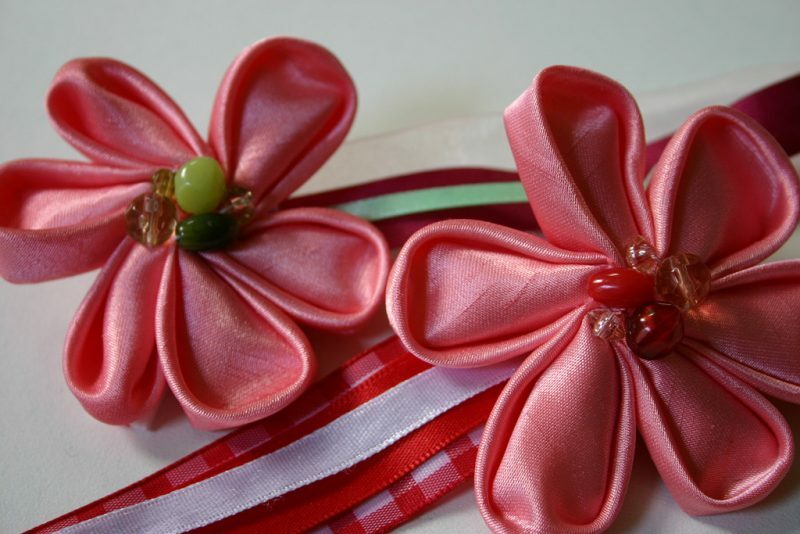 Kanzashi is a traditional hair ornament from Japan. It is a high quality item all hand-made. They come in various shapes and designs and you can just choose the best one to match your yukata and it will cozily and artistically settle in your hair. This is something men simply must buy for their wives, girls or daughters. You just have to choose those made of smoked bamboo, they are the right ones. Don’t go for the cheap plastic! Tabi-shaped socks represent a mixture of modern and traditional. They date back to the 15th century and originally they were made for wearing the traditional geta footwear when the big toe and other toes had to be separated. Today they are comfortable cotton socks with cute designs perfect to wear even with trainers. If you like, there is a similar item called five-toe socks. They make good gifts especially for kids. Did you have to wrap your books in primary school? You would probably go to the bookshop and buy some of those paper or plastic wraps you didn’t like at all. When you come to Kyoto, don’t forget to look for some totally cool and cute wraps for your kids’ books. 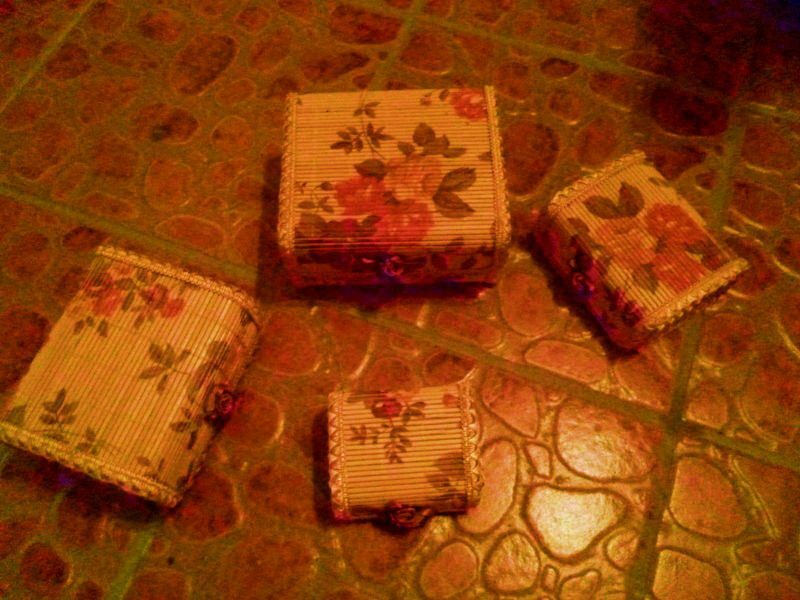 They sell hand-made fabric wraps with sweet traditional patterns on them. They can be washed and used all over again if the kids like them a lot! As you already know, Uji area in Kyoto produces the finest green tea and matcha is the most famous of them all. As we said, they use the tea not only as a refreshing and healthy drink, but they also put it into different foods and beauty products. 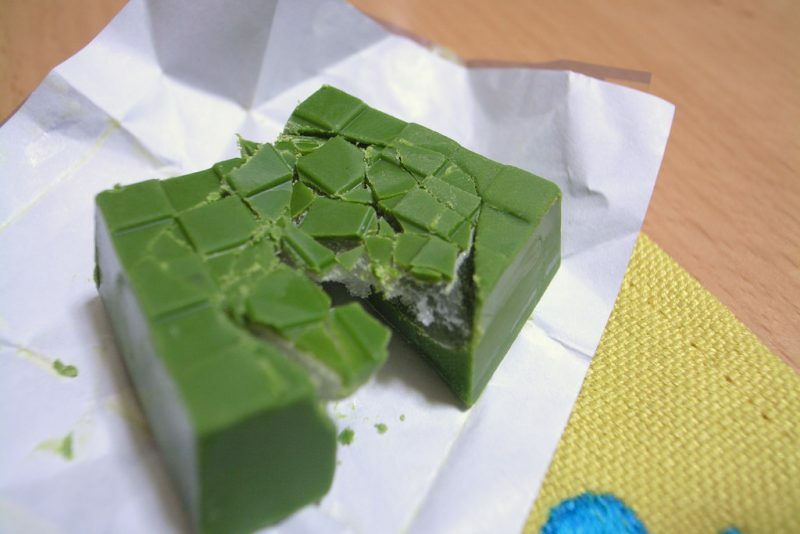 Matcha soap is one of those great items you can buy as a nice souvenir or gift. It is great for all who want to keep their skin soft, smooth and moist! This is definitely a must try and a must buy item to take home. 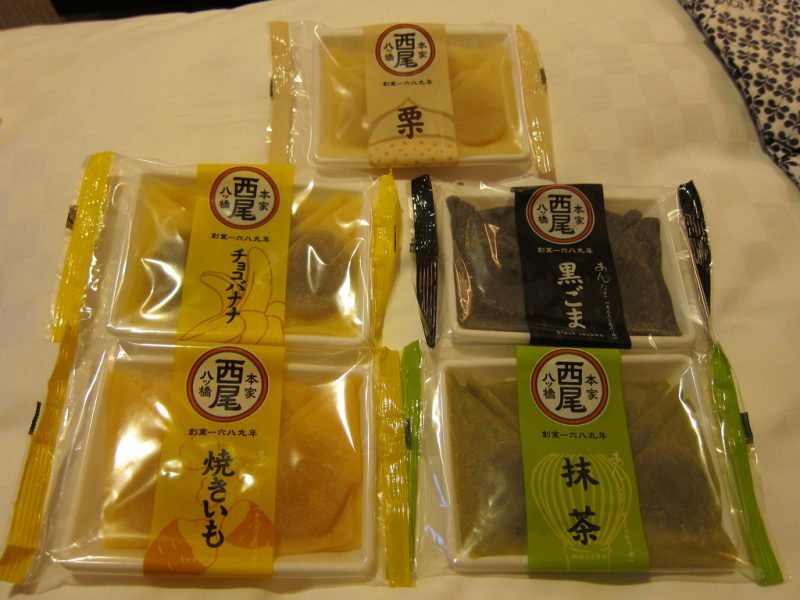 People in Japan have been eating tsukemono for centuries and it is not hard to find them in Kyoto nowadays. It is a traditional side dish, but they sometimes put it on top of rice, or tofu cheese. It has slightly acid taste which quickly makes you addicted to it. You can buy some fresh tsukemono at Nishiki Market, but if you want to take some home, you should buy those factory sealed. Enjoy! Shichimi togarashi is a blend of seven different spices much loved not only in Kyoto, but all over Japan. It is something you will definitely love and want to take home with you to prepare your favorite food with it. Typical mix consists of dried red chili peppers, roasted white and black sesame seeds, dried ground yuzu, poppy seeds, hemp seeds, dried seaweed and sansho peppercorns. There is a shop in Kyoto where they can blend your own shichimi togarashi the way you want and like. When you visit Kyoto, one of the items you should put on your souvenir list is the popular tenugui, small towel-like cotton cloths which used for drying hands or bodies, or just as a decoration. Some of the stores have been selling this item for almost 500 years, and today they are produced with different patterns and modern designs. So they a practical and attractive, too. 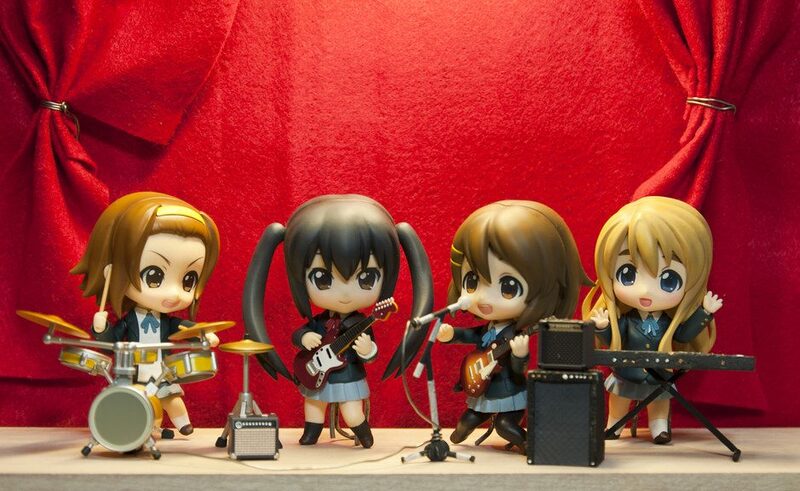 That’s why they have become one of the best sold souvenirs all over Japan. 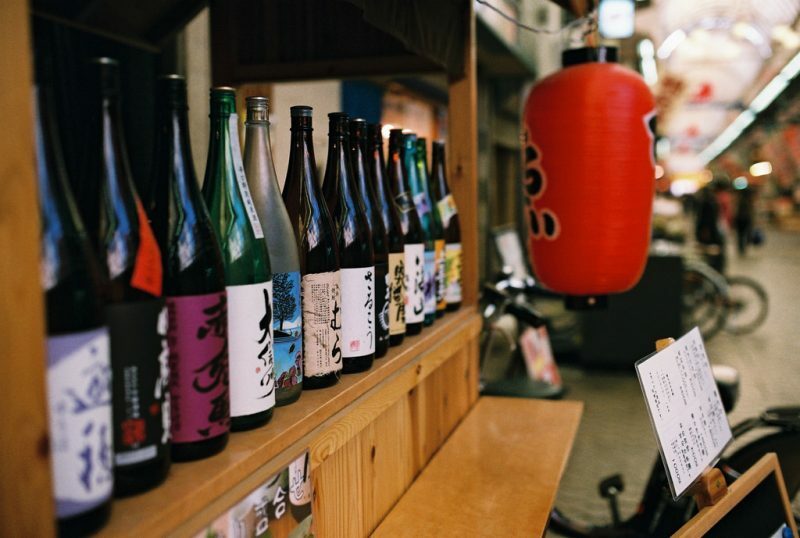 Sake is probably one of the most distinctive items from Japan. In southern Kyoto, there is the best-known Fushimi Sake District representing an attractive, traditional sake brewing area beautifully set along the Horikawa River. It is one of the three biggest sake brewing districts in Japan. Some of the breweries there are open to the public, That’s where you can try some of the limited edition sake and buy it as a souvenir. One of the places you must visit when you come to Kyoto is the Arashiyama Monkey Park. It has become one of the top sightseeing spots among tourists because of its natural beauty and the opportunity to interact with amazing wild monkeys. Since the monkeys have become very popular, you can now buy some sweet candies in the shape of monkeys and take them home as souvenirs, or just enjoy their taste. Lacquerware, or urushi in Japanese, represents one of the most unique forms of Japanese beauty. This handicraft form is really fascinating and make or a gorgeous gift for a special person, or someone you care a lot. You will never go wrong with it. The moment you see this high-quality lacquerware, you will understand why it is so distinctive and popular. The shiny black or dark red lacquerware is often elegantly and beautifully decorated with gold or silver or inlaid with that shiny, smooth substance from the insides of the shells. You can’t help loving it! As it is all over Japan, in Kyoto too, most souvenirs are simply made to be eaten. Yatsuhashi is a kind of confectionary mainly bought as a souvenir sweet. 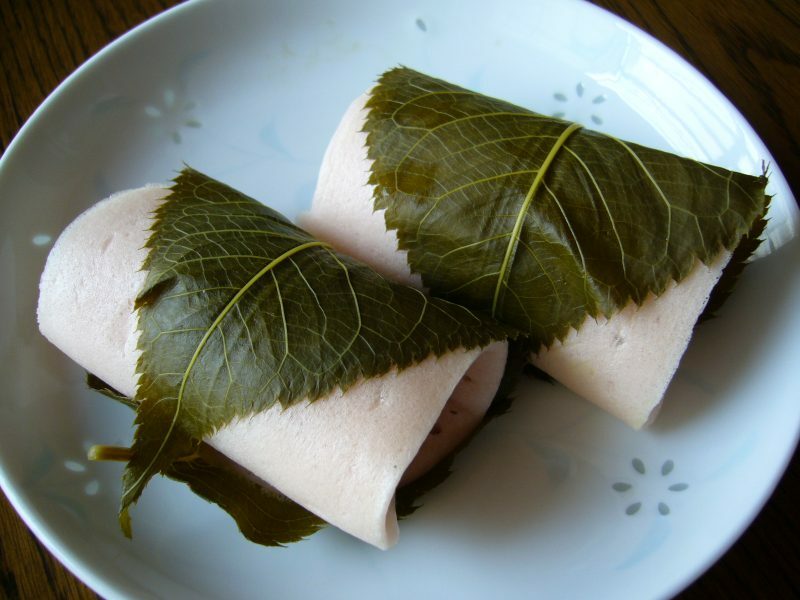 It is one of the famous regional products of Kyoto called meibutsu. The main ingredients are glutinous rice flour, cinnamon and sugar and it can be eaten baked or raw. Modern yatsuhashi are made in shapes of different kawaii characters or little pianos or flowers, and numerous other shapes and they all look so decorative that you feel sorry to eat them. This is a wonderful and cute snack which represents the fish from the Kamogawa River in Kyoto. You will just love it as everyone do. You will enjoy the taste of a sweet dough filled with rice flour filling and sometimes with some green tea or sweat bean. The cute shape is just adorable and nobody can resist it. 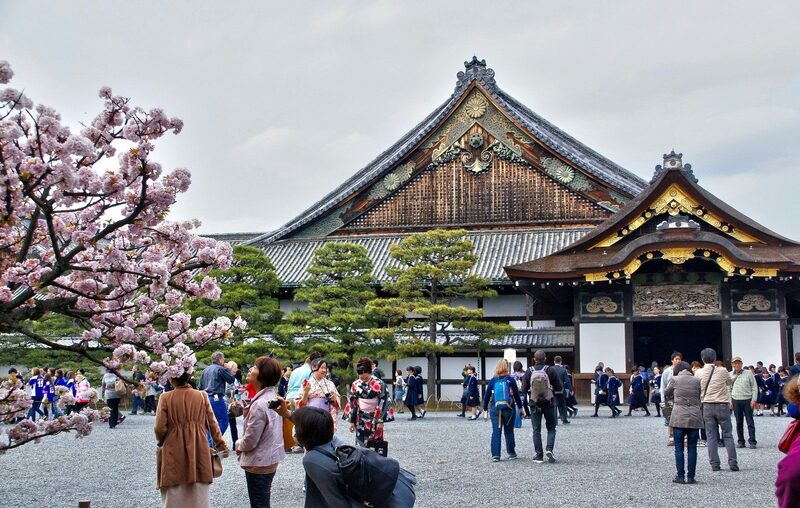 As you can see, Kyoto is probably the best place in the world to go and buy some really memorable gifts for someone you care about or just for yourself. We hope this list helps you, so that you don’t regret missing some of the great souvenirs!